Is My Case A Personal Injury Case? 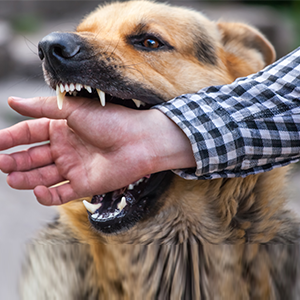 Animal attacks and dog bites are an extremely frightening occurrence. California Law states that any injuries endured by their pets doing to another individual is automatically the owners fault. However, if other individuals are involved, sometimes it makes the situation more complex. If you have been injured by the pet of another individual, make sure to take pictures of the injuries, as well as get the information of the owner. This will make filing a claim much easier. Call us for a FREE consultation. Sierra Legal Group is the leading personal injury law firm, nationwide. Equipped with experienced attorneys and managers, we give our undivided attention to each and every case, ensuring it is handled in a timely manner and with the outcome it deserves. Your time and money is valuable, and we always guarantee no fee unless we win your case. Standing behind our values, your happiness and comfort level is our priority. As our client, you’re our family. That’s why no matter where you came from, or what you believe in, you’re welcome at SLG. Call us now for a FREE consultation. *Licensed to practice law in California exclusively | All Rights Reserved Sierra Legal Group.